Our USENIX Security 2018 paper is reported by Forbes ! Our paper “All Your GPS Are Belong To Us: Towards Stealthy Manipulation of Road Navigation Systems “ is accepted and will appear at USENIX Security 2018. Shout out to Curtis, Yuanchao, Dong, Prof. Wang and Prof. Yang! Prof. Yaling Yang from Virginia Tech and Alibaba Security department offer me internship opportunities for the 18 Fall semester. Feel really honored and humbled to get these chances! Having my remote internship at NISL(Network and Information Security Lab) in Tsinghua University, and will be there from July to September. 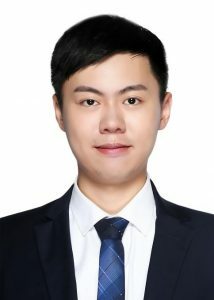 I am a junior undergraduate from Yingcai Honors College at UESTC, a member of Secure Localization Team, the CEO of Dominity Security Technology Co. Ltd, and a member of Network Security Innovation Program. Majoring in information security, my strong interests have driven me to explore academia, industry, business and competition in wireless & mobile security. My collaboration with researchers from Virginia Tech, MSR, Facebook, Tsinghua University and Qihoo 360 has enabled me to publish papers on top-tier conferences. 14 talented students joined my startup company and we had really good memory in developing and selling our product MAPRO. I also had my internship in Qihoo 360, MSRA(short-term visit), NoWhy, Tsinghua NISL and Cyberpeace. The intersection between mobile wireless systems and security really excites me. My dream and what I always endeavor is to become a researcher, hacker, poet and practical idealist.